This ticket for the Andanças 2019 is valid for all festival days (04th August - 10th August). 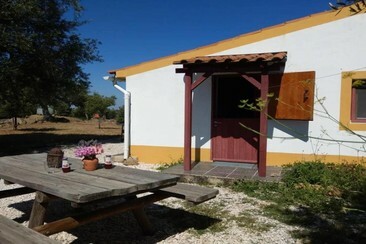 Quinta do Pomarinho is a former farm where you can now enjoy peace, space, and rest on a small-scale SVR camping Portugal or in one of the various holiday homes Portugal. The property is located in the Alto Alentejo region, on walking distance from the village of Castelo de Vide (5 km) and close to the Spanish border. Marvão is 15 km, while Crato is 33 km from the property. This farm stay offers a seasonal outdoor swimming pool, barbecue facilities, as well as a garden. Guests can also relax in the shared lounge area. Quinta do Pomarinho comes with free WiFi, a shared kitchen, a shared lounge and a sun terrace with mountain views. Casa do Parque Hotel is located in one of the most privileged areas of the Historic Town of Castelo de Vide, with a fantastic view of the village garden and the Serra de São Paulo. Casa do Parque is 500 m away from the castle, the old Jewish quarter, which boasts a preserved synagogue, and Fonte da Vila. The hotel has a restaurant which serves traditional regional dishes. 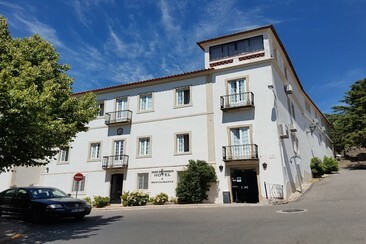 The rooms at the Casa do Parque feature free wifi, air conditioning, TV, balcony and private bathroom. Some rooms have mountain and park views.